A California auto dealer abruptly closed most of its locations this past week without explanation, according to multiple reports, leaving employees unable to cash their paychecks amid rumors of a possible sale. But records filed in an ongoing fraud case brought by the Securities and Exchange Commission offer some insight as to the possible root cause: the dealership’s owner has been struggling to grapple with an immense load of debt. A rep from Momentum Chevrolet in San Jose, when reached by Jalopnik on Monday, said she had no comment on the closures. It wasn’t immediately known how many workers might be out of a job at this point, nor if the closures are even permanent. Records indicate that Momentum employed about 300 workers in the area. But what’s clear from records in a separate, ongoing SEC case is that Momentum’s owner, Rahim Hassanally, has spent months trying to address an enormous debt load associated with the dealer group. And while records indicate a sale was in the works, he now finds himself caught up in the fallout of the SEC’s investigation. “If he’s able to get back to you, he will,” Scali said. Momentum’s troubles appear linked to an ongoing fraud dispute brought by the SEC against a company named 1st Global Capital. The connection was first highlighted and extensively covered by deBanked, an online news site that covers the alternative finance industry. Founded in 2014, 1st Global Capital existed in theory to finance small businesses and funded everything from restaurants to manufacturing operations, according to an Aug. 26 story by the Kansas City Star. A fraud lawsuit filed by the SEC in August said the company raised more than $278 million from more than 3,400 investors over a four year period. 1st Global was supposed to take the investor cash and funnel it into so-called “merchant cash advance deals,” essentially cash advances to businesses that couldn’t obtain traditional financing from banks because they have less-than-sterling credit scores. Those businesses included Momentum Auto and Hassanally. But the SEC alleges 1st Global and its founder, Carl Ruderman, misappropriated at least $35 million, paying some of it directly to himself and companies he controlled, to companies his relatives owned, and to fund personal expenses like a “luxury vacation to Greece and monthly payments for his Mercedes-Benz.” The SEC cites an allegedly problematic $40 million loan to a dealer—first identified by deBanked and confirmed by Jalopnik as Momentum—twice in its complaint against Ruderman. No criminal charges have been filed to date. The SEC’s case includes emails from 1st Global employees discussing Momentum’s precarious financial situation in April, deBanked reported, noting that Hassanally “intended to either recapitalize the debt or sell the dealerships.” So, the news site said, 1st Global had to decide whether to keep funding the auto dealer group or back off their investment. “If they were to become insolvent, everyone loses,” 1st Global’s Director of Accounting and Finance wrote, according to deBanked. The July 19 letter, obtained by Jalopnik, outlined a massive amount of debt that Momentum held by then: $9 million in unpaid state and payroll taxes, $37 million to an unnamed creditor, and an additional $43 million owed to 1st Global. The agreement was subject to Hassanally agreeing to sell Momentum for at least $75 million above the so-called Blue Sky Value. To “preserve cash” in the interim, the agreement said, Momentum planned to reduce payments on its debt load to Global by 50 percent until the sale is completed. A week later 1st Global filed for bankruptcy, and by late August, the SEC had filed its fraud case. Hassanally has since become entangled in several cases in California state court over loans he took on for his business ventures. In one suit filed Nov. 8, creditor Compass Bank accused Hassanally of breaching floorplan financing agreements and fraud. The judge in that case granted a temporary restraining order last Wednesday, deBanked reported, “prohibiting Hassanally from selling, transferring, removing or otherwise disposing of collateral.” The cases remain pending, and a hearing in the Compass Bank case is planned for Dec. 5. 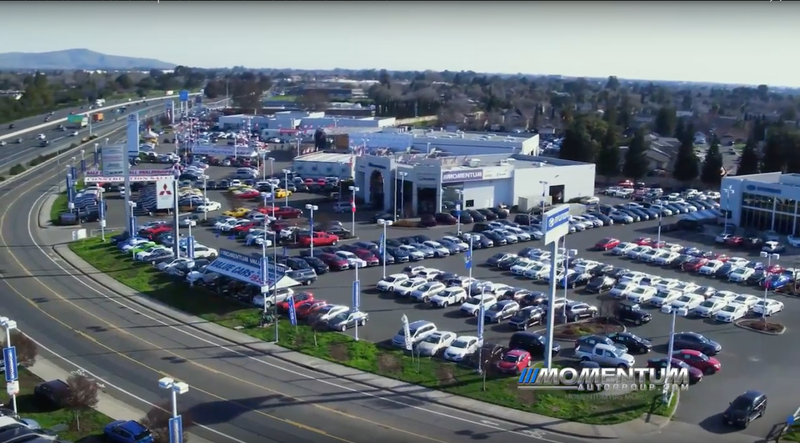 The local ABC affiliate noted that “several surprised customers” arrived on Friday at the Momentum dealership in the City of Vallejo, only to find it was now closed. Those with cars in Momentum’s repair shop, like local resident Eugene Porterfield, were seemingly left without any clue on how he’ll get his car back, or when.